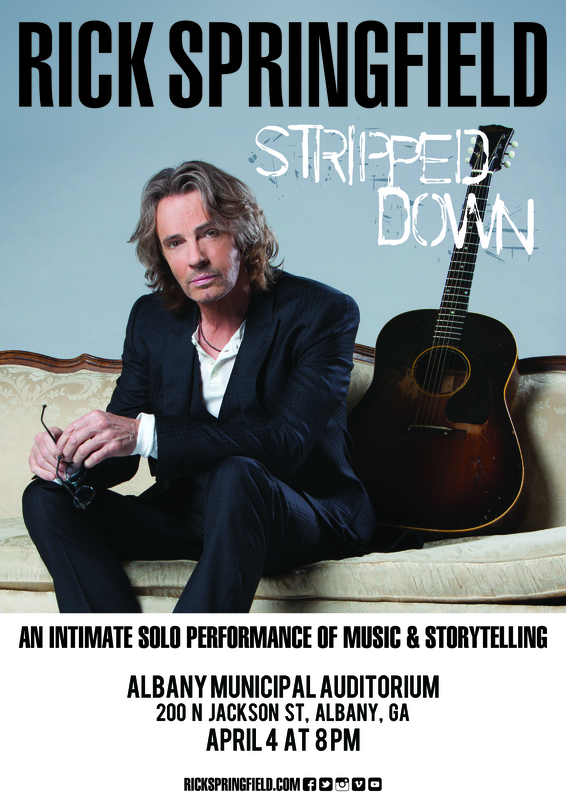 Rick Springfield brings you Stripped Down: an intimate solo performance of music and storytelling. This exciting event will be held at the Albany Municipal Auditorium at 8PM on April 4th. Doors open at 7. Tickets will be available for sale on Friday, December 21st!